Sarah came to see us in August 2017 with the primary goal to get off the couch and keep Hubby happy on the weekends after big training sessions. She's gone from strength to strength and is gearing up for her Ironman debut at Port Macq in a few weeks time. We're excited to share her story with you and can't wait to see her become an IronWoman next month. What got you into it in the first place? I have always been interested in triathlon but was never brave enough to try one (plus I couldn’t run down the street even if a pack of wolves were chasing me :). My work offered free entry to a friendly non-competitive corporate triathlon which was a nice enticer distance. Even though I thought I was going to have a heart attack during the 4km run, I finished it with a smile and was completely hooked. What’s your favourite training session? I always enjoy my bike sessions. I love exploring and taking in my surroundings. Rides are always therapeutic especially as they generally end with a caffeine fix. Main Competition/Event/s for 2018: Ironman Australia on the 6th May; it will be my first Ironman distance event! My main goal is to continually improve and always try new challenges. I love the feeling of doing something amazing and I also love getting out of my comfort zone. I haven’t thought too much about what my next event will be, I just want to keep having fun and keep inspiring my kids and friends to get active and involved in fitness. Hmmm that’s a tough one as if you asked 5 years ago Sarah if she could do half of the things 2018 Sarah has achieved then she would laugh in your face and tell you that “you cray cray”. I think my stand out moment would be when I rode my bike from Brisbane to Sydney with some friends. We did the trip over 6 days and we had the best time. It was very challenging at times and backing up each day was hard work but we got to see some parts of Australia that you just can’t appreciate as much when you drive through in a car. Do you have a saying or motto you live your life by? My very favourite quote is one said by Audrey Hepburn and it is, “Nothing is impossible, the word itself says I’m possible”. I try and remind myself of this quote each and every day. The only thing stopping me from being great is the doubts I allow to enter my head. Get rid of those doubts and anything is achievable. What are one or two things you do in your day to day training life that you feel are keys to your success? Like I said, I never doubt myself, as soon as I let the negative thoughts enter my head then it’s game over. Always be open to push out of your comfort zone, no matter how scary it seems. Like they say, out of your comfort zone is where the magic happens. Three things you can’t live without? My family, coffee and my bike. Favourite food: Mexican for suuuure! Love it, the more spice the better…now I want some Mexican food immediately…damn it. Favourite post-training meal or snack? Sarah’s Secret Smoothie, I would tell you what’s in it but then I’d have to kill you. Let’s just say it may or may not involve a banana, a shot of coffee, a hit of protein and milk. What’s the number 1 (or 2) thing you’ve learnt about sports nutrition for performance in your sport? How to use food to fuel! My number one thing I asked Taryn to help me with when I first met her was, how to prevent myself from becoming a useless heap, asleep on the couch after any big sessions. We have nailed this perfectly!! Yay team!!! The right foods to eat to keep me full and stop me heading for those binge sessions at the fridge. Healthy grazing options have been my saviour when it comes to getting down to race weight. Yeah yeah, we’re the fun police, we get it. Take it or leave it, but at the end of the day, alcohol is a toxin. Here are three major reasons why alcohol is not your friend. 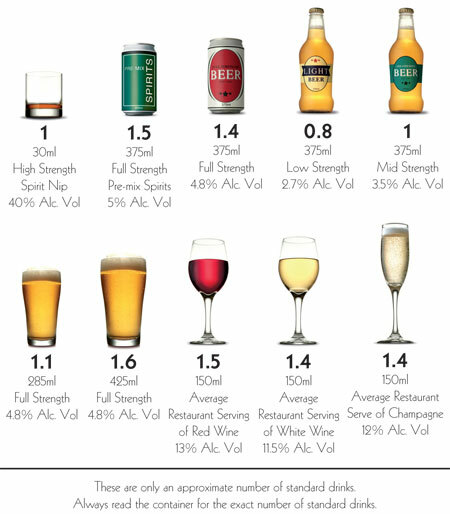 Pure alcohol is energy dense, containing 29 kilojoules per gram – almost equalling fat which contains 37 kilojoules per gram. Alcohols kilojoules are known as ‘empty kilojoules’ as they fail to provide nutrients that our body requires to perform important physiological functions. These kilojoules tend to stack up quickly because they are consumed in liquid form – liquid kilojoules don't elicit the same feeling or level of satiety as kilojoules from food. Because our hunger is not suppressed by alcohol we don’t compensate by reducing our food intake and our overall energy intake can increase significantly. When we consume alcohol, our brain responds by releasing the feel-good chemical dopamine into our brains reward centre. The brain typically uses dopamine to reinforce healthy behaviours, however, alcohol triggers the release of very high amounts of dopamine. Excessive levels of dopamine block the expression of our negative emotions such as anxiety, fear, stress or insecurity and as a result, we feel relaxed and uninhibited. Because our inhibitions are lower, assessing our appetite and restraining from unhealthy food choices isn’t a priority. This is why after a drink (or six) you feel more comfortable reaching for a handful of chips or saying yes to that 2am dirty kebab. Far more comfortable than you did before drinking. To make matters worse, alcohol is an excellent appetite stimulant. The body reacts to ethanol as a poison, prioritising its breakdown and removal over the metabolism of carbohydrate and fat. Breaking down alcohol is a demanding task that requires the full attention of the liver. This means that the liver ceases to perform other important jobs such as the release of glucose to maintain our blood glucose levels. Eventually, our blood glucose levels dip and we become hypoglycaemic (low blood glucose levels) – triggering intense feelings of hunger. The combination of alcohols high energy content with its un-inhibiting and appetite-stimulating effects often lead to weight gain in the short and long-term. Reducing your alcohol intake is a small but realistic change which, when combined with healthy eating and regular exercise, will promote weight loss. Drink in moderation and enjoy a glass of wine or a beer with friends in a social setting. If you drink every night sitting at home, perhaps explore why you reach for alcohol at the end of the day. Our Healthy Lifestyle Challenge will help you learn what habits you’ve trained yourself to have in this space. It was the night before my first ever Olympic Distance Triathlon. After 10 months of preparation, I was ready, albeit incredibly nervous. Sitting down to a home-cooked dinner with my support crew, I felt like the biggest kid eating my large bowl of pasta, side of garlic bread, all washed down with pasito (dietitians orders). As I forced it down (nerves!) I looked enviously at my friends casually enjoying their pizza and wine without a care in the world. All I wanted to do was grab the Shiraz and neck it myself! I called it an early night and before I knew it, the alarm was going off. With a blink it was race day. Ahhhh!!! My first thought that morning was, “I can’t wait to wake up tomorrow and not feel so nervous”. I knew I was prepared and I knew I would finish, but that didn’t stop the pre-race butterflies. I got myself ready, feeling like livestock being marked up; right arm tattoo, left calf tattoo, left ankle tag… It was soon time to leave for the final transition set up. I couldn’t have asked for a better race day. Noosa definitely turned on the weather and whilst it was hot, the conditions were in my favour. Time flew that morning and before I knew it, I was standing nervously on the beach waiting for my wave to start, surrounded by my friends and family doing their best to distract me. The swim, my weakest and biggest concern, unexpectedly turned out to be my favourite. The water was beautiful and clear. We were off and I found my own space, settling in quickly. I kept on course (mostly), made a bee-line for the beach and was stoked to finish in 30 minutes without drowning. Quick transition (well, as quick as I could without doing a flying mount) and I was onto the bike course. I felt fatigue in my quads straight away so perhaps my taper wasn’t enough in the week leading up. Still, I was determined to maintain an average speed ~ 30km/hr and used everything I could to push through the burn, conscious to save a little for the run. Descending Garmin hill was my highlight and I even cracked a new PB top speed on the bike; it was so much fun! Coming off the bike, I checked to see I had done enough to hit my goal time of 1hr 20. Right on target. I did some quick maths and realised that sub-3 hours was within reach. Yass! Running is my strength but it was hot (~27°C), my feet were burning, and my body was tired. Learning the hard way in previous run races, I knew I had to pace sensibly…These lessons paid off as it soon became apparent the run was going to be far more challenging than I’d thought. I needed every ounce of energy to make it to the finish line. A friend had given me some valuable advice the day before and this mantra repeated in my head; “Pain is temporary. Glory lasts forever”. I kept to a consistent pace and somehow even managed a sprint finish. I went into race day hoping to finish around 3 hours. As I crossed the finish line, I sneaked a peep at my watch to see the time 2:55! I couldn’t believe it! I was ecstatic! Thank you Noosa,! Whilst I exceeded my expectations at Noosa, there is always room for improvement. I’ve definitely caught the triathlon bug and after having the time of my life on Sunday, all that’s left to decide now is …which race to do next!? Last November my partner at the time encouraged me to sign up for Noosa Triathlon with him. You’re kidding right?! I couldn’t run 5km let alone 10km, could barely swim 1.5km, had never swum in the open water, am a little (OK a lot) afraid of bluebottles AND had only ridden a bike maybe 3 times since I was a kid. He persisted though and promised to help me with training so I thought, why not? Maybe it was time to try something new and with someone to help, how hard could it be? Half nervous and half excited, I signed up. Three weeks later, he broke up with me. Not only was I completely heartbroken, I now had a $300 Noosa registration with no skills to use it. I deliberated for a few months about what to do. Some of my friends were incredibly encouraging whilst others disappointingly discouraging with comments like “Triathlon?! You can’t do that, you don’t even own a bike!” Gee thanks guys…Eventually after doing some confidence building laps in the pool, I decided it was time to bite the bullet. I was going to do Noosa; and I was going to do it for me. I had ten months to train and teach myself three sports before putting them all together. Sounds simple, right? As my journey unfolded, it became very obvious I had a lot of work to do and absolutely no idea how to do it. There are shoes that clip you into a bike?! I threw caution to the wind and entered a 1km open water swim. I nervously stood on the beach waiting for my race, feeling intimidated and out of place. There was an electric buzz in the air as everyone seemed to know each other, chatting away about “the chop”. What that meant, I had no idea and the thought quickly escaped my mind as the person standing next to me just mentioned the ‘B’ word; bluebottle. My Dad had surprised me and come to watch (I think he had to see it to believe it!) and I found myself at the age of 32, standing on a beach in my togs being counselled about what to do if I got stung mid-race. Not my finest adult moment, but thanks Dad…. I swam my little heart out and survived to tell the story. To this day, that swim is my 1km PB in both the pool and open water. As time went on, I started to realise that there was more to this training than doing a session or two a week in each sport. The terms “double-session days”, “brick session” and “run off the bike” got thrown around. It also became very apparent that doing an Olympic Distance Triathlon as my first ever race wasn’t the smartest idea... My aunty Stacy, a seasoned triathlete, suggested I do a couple of smaller races for practice and exposure. Putting this all together with enduring guidance and support from her is how I found my coach, Dan McTainsh. It’s been the best decision I’ve made. I can honestly say that I’ve never been so far out of my comfort zone. There has been blood, a couple of tears and a lot of sweat. There have been so many times where things haven’t gone to plan, but people have been there to pick me up off the ground when I’ve fallen, literally. These cleat things are hard! As time has gone on, I no longer freeze just thinking about getting on my bike and cycling has become my favourite of the three disciplines. I’m still pretty shaky and clumsy clipping in but once I’m clipped in, I’m off! I love every second. If it wasn’t for the incredible support and encouragement from the people surrounding me, I may have thrown in the towel, making up some excuse to pull out. They have answered my endless questions (and I mean endless), helped with nutrition, training programs, fed me when I’ve been too exhausted to cook and given me kudos galore on Strava. This wonderful triathlon community has been so positive and encouraging when my “negative thought committee” has been in full-swing and believed in me when I didn’t even believe in myself. I am so thankful to have such amazing people in my life who have helped me get to this point today. All of the hard work has been done and it’s just me and my mental game on race day this Sunday. Whilst I may have started this journey with a heavy heart, some fear, and a lot of self-disbelief, I’m ending it with a massive smile, huge sense of accomplishment, stronger relationships with old friends and family, many new friendships, believing that anything is possible, and a new-found love for this crazy world of triathlon. Honestly, what more could a girl want? Many of my friends, colleagues and family have mentioned along the way how inspiring they’ve found watching my journey unfold. At first, I didn’t give it too much thought but as time has gone by, I’ve recognised that so many people have dreams and aspirations that they never start or finish because they’re so scared of failure. People worry that they’ll be judged, or are discouraged by others. It’s always so hard taking that first step but once you do, the world is your oyster. I hope to inspire you to take that step and don’t look back. The sense of accomplishment and empowerment is incredible. Stay tuned for Erin's recap after her first ever Olympic Distance Triathlon at Noosa this weekend! Our body is made up of approximately 60% water. Our brain is ~85% water, blood is ~80% water and approximately 70% of lean muscle mass is water. Water plays an important role in all of these major systems and without water, they don't function efficiently. Even a mere 2% reduction in body water can decrease performance, affect short-term memory, focus and increase fatigue. Water is the main component of blood and essential for transportation of nutrients and removal of waste in the body. Blood delivers nutrients such as glucose, sodium, potassium and amino acids to our tissues for cell life and function. Blood also carries toxins and waste products away from our cells to our kidneys and liver for filtration and removal. The kidneys regulate how much water we excrete or conserve to maintain blood volume and concentration. Water participates in hundreds of important metabolic reactions that occur in the body known as ‘hydrolysis reactions’. These reactions break down the carbohydrates, fats and proteins in our food so that our body can use them for energy and create the building blocks of life. Water helps keep sensitive tissues such as your eyes, nose, mouth and brain moist. It also functions like a lubricant and cushions joints like your spine and knee so they can easily move against each other. Water has a large heat capacity which helps control body temperature and allows us to adapt to changes in environmental temperatures. If the environmental temperature increases above body temperature, the body begins to sweat. Sweat evaporates off the skin surface which releases heat and cools the body down efficiently. Consuming water regularly throughout the day is important to prevent dehydration. We lose water through sweat and breathing (insensible losses) and of course, urine. The insensible losses account for ~50% of the total water turnover. The average adult requires roughly 2-3L of water per day to maintain water balance and keep the body systems functioning efficiently. This will of course vary with different environmental conditions, physical activity and your individual metabolism. For ideas on how to drink more water, check out our 7 tips. Diets come in all shapes and sizes. A ‘diet’ is a restrictive eating program used temporarily to lose weight. Diets are often gimmicky or have a certain theme such as the elimination of particular food groups or assigning points to foods. Some diets can be nonsensical, unscientific and downright dangerous – detoxes or juice cleanses anyone? *facepalm. Yes, these diets are restrictive, yes they may produce short term results, but why don’t they work long term? More affectionately rephrased as “calories in, calories out”. This, in theory, is true. When we consistently consume less energy than our body uses each day, weight loss follows. The human body is smart. It thrives on balance or homeostasis. Our body has inbuilt appetite and weight regulating systems which constantly strive to restore the balance. There are two hormones responsible for regulating our appetite: ghrelin and leptin. Ghrelin is our appetite stimulating hormone; it is released into the stomach and sends hunger signals to the brain to produce ‘hunger pangs’. Leptin is our appetite suppressing hormone, it is released by our fat cells after eating to send the signal that we’re full. When we restrict our intake to lose weight, leptin levels plummet and ghrelin levels rise meaning our appetite soars. You’re up against strong feelings of hunger and it can become very difficult to resist extra snacks (or meals). Especially if you’re constantly thinking about what you can’t eat. Our body relies on energy from the macronutrients in our food (carbohydrates, proteins and fats) to perform lots of everyday body functions such as breathing and digesting. Stripping kilojoules from our diet forces the body to utilise fat from our fat cells to fuel some of these physiological functions – hence the term ‘burning fat’. But poorly planned and restrictive diets can go too far and deprive the body of energy to take care of day-to-day tasks. This forces the body to increase the activity of catabolic hormones and break down muscle reserves to produce energy instead. So while the weight on the scales may go down, this can be a combination of a reduction of fat tissue AND muscle tissue – not ideal. Lean body mass or muscle tissue is very energy-demanding and losing lean body mass decreases your metabolism significantly. A dietitian can help you with a meal plan to ensure you’re only losing fat with weight loss and not valuable, metabolism driving muscle. When we inevitably fall off the bandwagon due to our insatiable appetite or stop the diet, our metabolism is sluggish and we can gain weight quickly, typically as fat. Cue the vicious cycle of dieting, weight loss, weight re-gain and back to dieting again which leaves most people feeling defeated. But it’s not all doom and gloom! Take a more holistic approach to your health which can help you achieve and maintain a healthy weight long term. Enter the Dietitian Approved Healthy Lifestyle Challenge! A challenge designed to put in place consistent, daily habits for overall health. Nothing to do with dieting. People do lose weight on our challenge, which is a by product of these healthy habits. Ditch the food rules and concepts of ‘good’ and ‘bad’ foods. Incorporate a wide variety of fresh fruits, vegetables, wholegrains, lean meat, fish, dairy, legumes, nuts and seeds into your diet and allow yourself to eat foods which you enjoy in moderation mindfully. Become more aware of your hunger and satiety cues and allow these cues to guide when to begin and stop eating. If you’re full, stop eating. You don’t need to finish what’s on your plate despite what your mother may tell you. Be patient and take your time. Everyone wants to lose 5kg yesterday. Losing weight slowly is not only more maintainable, it prevents your weight loss from plateauing and allows your metabolism to adapt to its reduced energy workload. It's also far more socially enjoyable than severe restrictions. Incidental exercise is the movement you perform as part of your everyday life that makes up your daily activities. These movements can be simple – from walking to the mailbox to gardening to playing with the kids – but together these bite-sized chunks can add up to a significant portion of your total daily physical activity. Physical activity has excellent health benefits and forms the foundation of a healthy lifestyle. It raises your daily energy expenditure and helps reduce the risk of chronic diseases such as heart disease, diabetes and some cancers. Multi task – instead of sitting down in front of the television, do chores like washing, ironing and folding. It is well known that exercise increases your fitness and improves your overall health and well-being. Exercise is also an effective way to manage your mood and stress levels. So how does exercise work it’s magic? Endorphins. Endorphins are feel-good neurotransmitters or chemicals. When you perform any type of physical activity your body responds by releasing these neurotransmitters. The endorphins interact with your brain’s opiate receptors and trigger feelings of euphoria and general well-being. They also suppress your ability to feel pain. Although a demanding schedule sounds like the perfect reason to for-go exercising, setting aside some time to move every day helps turn your daily physical activity into a healthy habit. The current recommendations for healthy adults is 150 to 300 minutes of moderate or 75 to 150 minutes of vigorous activity per week. Try breaking exercise up into smaller chunks, mixing up the intensity of your physical activity and alternating between morning, lunch time and evening activities to fit around your busy days. Whatever you do, don’t think of exercise as another chore – it is actually the key to de-stressing after a hectic day! No-one likes a hand brake. Yet consuming even moderate amounts of alcohol has detrimental effects on weight loss. The biggest problem with alcohol is not simply its energy density, it’s also how alcohol effects our body’s metabolic processes. Most importantly, its capacity to metabolise fat. The reason why alcohol impacts our metabolism is linked to the way in which ethanol is processed. Ethanol is a toxic molecule and our body doesn’t have a storage place for it. Unlike fat, which is deposited into fat cells or carbohydrates which are stored as glycogen in our muscles and liver. Essentially the body has no choice but to prioritise the breakdown and removal of alcohol over all other macronutrients. The major processing site for alcohol in the body is the liver. Up to 98% of alcohol consumed is transported to the liver where the enzyme alcohol dehydrogenase converts alcohol to acetaldehyde. This molecule is then transformed into acetate, producing a sudden increase in blood acetate levels. The body prefers to burn acetate over fat because it is more efficient. Acetate is a very readily available fuel source so the body doesn't have to do much metabolic work to use it. Our body suppresses fat oxidation (fat burning), sometimes by up to 73% (! ), until the acetate is burned off. This means that for the subsequent hours after drinking, your body is in unable to utilise fat stores and any plans you had for fat loss come to a grinding halt. When we drink heavily for an extended period of time, our body recognises alcohol as a consistent energy source and adapts to use it more efficiently. The body activates a system known as the ‘microsomal ethanol-oxidising system’ in order to redistribute and remove excess alcohol and promote body fat storage. The most common site of fat storage is around your mid-section (hence why lovers of alcohol usually sport a "beer gut"). If you’re a part of our Healthy Lifestyle Challenge, these are just a couple of good reasons why alcohol intake scores so poorly. While for some it may be hard to avoid, it wouldn’t be called a ‘challenge’ if it wasn’t challenging, right? We only have your health at heart. Plus it’s only 30 days out of your whole life – you’ll thank us for it later. For some, drinking enough water each day is easier said than done. Maybe you dislike the taste, get too busy or just plain forget about drinking until bedtime, when chugging eight glasses is highly impractical (and not advised!). To help you drink more water, we’ve put together 7 tips you can use to develop this healthy and essential habit. Invest in a high-quality, stainless steel or heavy duty BPA free plastic water bottle and take it with you everywhere! If you regularly forget to drink water, find ways to keep your water bottle visible. Keep it on your bedside table, on your desk and in the car. Increase your availability of water and opportunity to drink and chances are you will. Soda streams are all the rage at the moment and are a cheap way of making your own bubbly water without the wastefulness of buying numerous bottles from the supermarket. Adding water into your morning and night time routine is an easy way to ensure you drink at least two glasses of water each day. Get into the habit of drinking a glass of water before you have breakfast and another right before you brush your teeth at night. You can create drinking goals and mark them on your water bottle to hit targets by certain times of the day. Use tape or a permanent marker to mark how much water you aim to drink by a particular time. This is a helpful way to keep track of whether you are going to hit your goal water intake (or not). You can also buy motivational water bottles pre-marked or even fancier products with inbuilt computers that track your water consumption. Identify some mental prompts to drink water. For example, if you feel hungry opt for a glass of water before eating. Not only will this keep you hydrated it will could also possibly curb your hunger. We lose water in sweat which needs to be replaced during and after exercise. If you're struggling to drink, go for a brisk walk or do some exercise in the gym. This will help drive thirst as your body works to restore its hydration balance or homeostasis. Fruits and vegetables naturally grow in cycles and ripen during a certain season each year. Purchasing your fruits and vegetables when they naturally ripen is called ‘eating seasonally’, and eating with the seasons has some serious perks to it. Choosing seasonal produce can help you get the most value out of your dollar. Fruits and vegetables picked during their season are in peak supply and this means the cost of growing, harvesting and transporting produce is much lower. If your produce is sourced locally from Australian farmers, the cost of transporting and storing the crops is reduced too. All of these savings are passed on to you, the consumer. For example, buying berries when they are in season is much friendlier on the wallet than buying in their off season when prices can double or even triple! Non-seasonal produce typically must be harvested before it is ripe, cooled to stall ripening, stored and transported significant distances to where it will be sold and consumed. The ripening process is then controlled by hot rooms, humidity and ethylene to cause even, uniform ripening. The other way seasonal fruits and vegetables are farmed in Australia is with the assistance of green houses. While there are no food safety issues with either of these methods, seasonal fruit and veggies are naturally ripened on the plant, tree or vine and harvested when they are in their prime. This means tastier, crispier vegetables and sweeter fruits. Strawberries are a great example of how sweet and delicious in-season varieties are. Buying out-of-season fruits and vegetables can mean your food has travelled thousands of kilometres with controlled aging in that time. This can affect nutrient density – particlarly some antioxidants. Green leafy vegetables like spinach are rich in folic acid which decays over time and the vitaminc C content of spinach can decrease by up to 90 percent! In-season produce is fresher and this can mean it’s higher in nutritional value. Hopefully we don’t need to sell you on the fact that vegetables are good for you. We’ve all heard the nutrition pitch on their micronutrient density, high fibre and low energy content. But for some of us, eating vegetables feels like an unpleasant chore. Luckily there are many ways to prepare, cook and serve veggies which makes getting your ‘five a day’ surprisingly enjoyable. Adding tasty veggies to your diet could be as simple as changing how you cook them! Sometimes the vegetable you don’t like boiled, taste amazing roasted, grilled, steamed, sautéed or stir-fried. Roasting is a great method because the roasting process caramelises the sugars in vegetables, enhancing their flavour and making them sweeter. Virtually every vegetable, from potatoes and parsnips to broccoli, carrots and Brussels sprouts can be roasted. Try chopping up a variety of different coloured veggies (e.g. eggplant, capsicum, zucchini, red onion, sweet potato), tossing in extra virgin olive oil and seasoning with a little salt and pepper. Bake in the oven on a foil-lined tray at 180-200°C for 30-45 minutes and voila! Crispy, sweet and delicious vegetables! Eating veggies as a snack on the go or at the office is an easy way to get your ‘five a day’. If eating raw vegetables doesn’t sound like your cup of tea, you need to try veggie sticks and dip. Dips are super easy to make at home in a food processor or you can purchase from a supermarket. Pair tzatziki, hummus, guacamole or white bean dip with capsicum, celery, carrots, snow or sugar snap peas. Try making your own dip using Chobani yoghurt* as the base for a high protein and nutrient rich snack. An easy way to get extra veggies into your day is to include vegetable soup! All you need to do is boil or slow cook whatever veggies you like with a little water or stock, then blitz with a stick blender or eat chunky as is. Pumpkin soup is always a fave, with pumpkin, potato, onion, leek and garlic. Check out our recipe HERE. Or pea and ham, beef and vegetable, chicken noodle, lamb shank and pasta, Moroccan carrot, sweet potato and chickpea. The flavour combinations are endless! If all else fails, hide vegetables in meals to mask the taste or texture to sneak them in. Vegetables can be added to almost every meal, even the ones you might least expect. Grate or puree veggies into sauces, mince dishes, soups and casseroles. Greens like kale, zucchini and baby spinach are easily disguised in a berry smoothie. Load omelettes up with finely diced onion, capsicum, mushrooms, spinach and cherry tomatoes. They will be tastier and are a whole lot more filling. For more recipe ideas…register for our monthly newsletter in the footer below! 2 Fruit 5 Vegetables - What is a Serve? As part of our Healthy Lifestyle Challenge, participants strive to include 2 fruit serves and 5 vegetables serves into their diet each day. So what exactly is a serve? These should not constitute your fruit serves of a daily basis but are OK to include occasionally. We challenge you to use at least 4 of your serves from the non-starchy veggies each day, leaving 1/day for the starchy variety. Only 6% of Australians get enough vegetables each day - we're hoping to change that, one challenge at a time! In Healthy Lifestyle Tags 2 Fruit 5 Vegetables, Go for 2 and 5, Healthy Lifestyle, Healthy Lifestyle Challenge, Brisbane Sports Dietitian, Brisbane Dietitian, Dietitian Brisbane, Sports Dietitian Brisbane, Fruit, Vegetables, What is a serve or fruit?, What is a serve of Vegetables? An alcoholic drink is not pure alcohol – it is a solution which contains varying amounts of ethanol (pure alcohol) and other ingredients. Some alcoholic drinks are stronger than others because they contain a greater amount of pure alcohol (ethanol) in the same volume. The higher the concentration of ethanol in the drink, the stronger the drink and the more standard drinks it will contain. For example, mid-strength beer is 3.5% alcohol while spirits are approximately 40% alcohol. A standard (STD) drink is a unit measure of the amount of pure alcohol (ethanol) in your drink. To further complicate matters, no matter where you go alcohol is served in different glasses, jars, bottles and jugs. Next time you’re out, take note of the size of the glass your drink is served in – don’t assume that a glass holds one standard drink. A standard restaurant pour of wine is in fact 150ml, while 1.0 standard drink of wine is 100ml. When keeping track of alcohol intake it is more reliable to count the number of standard drinks you have had, than the number of glasses. You lose points for each alcoholic drink you consume. Deduct -10 points for each 1.0 Standard drink you consume. So if you had 150ml of wine, that's 1.5 standard drinks and means -15 points. ouch! Dietary Periodisation: What is it but how do you do it?.. We talk about periodising nutrition all the time, but WHAT the heck is it? And HOW do you do it? Nutrition Periodisation is the use of planned nutritional strategies aimed at maximising the results from specific training sessions to improve performance (1). It is just like having a training plan but for your nutrition, where your nutrition is planned around your training to get the most bang for your buck out of it. Periodising nutrition primarily manipulates our glycogen stores, or our carbohydrate fuel tank. This is where you train with low glycogen stores. For example, you train first thing in the morning on an empty stomach or you don’t quite top your glycogen stores back up between sessions. This allows your body to learn to run more efficiently on a lower fuel tank. For athletes that train twice or even three to four times a day, chances are they are probably running on lower glycogen stores for some of those sessions. This is where you sleep with low glycogen stores. For example, you have a hard, glycogen depleting session in the evening and don’t include adequate carbohydrate with dinner to fully refuel your glycogen fuel tank overnight. You’re going to sleep ‘low’. This allows the body to adapt overnight. It’s then important to fuel up before your session in the morning (especially for females) as this has implications on iron and calcium pathways. This is where you delay refuelling in that immediate post-exercise recovery window. Not refuelling immediately after training allows us to adapt to changes occurring as a result of training (2). This is where you train on a full glycogen tank. This not only supports a quality training session, it also trains your gut to absorb carbohydrate efficiently and can maximise the amount of carbohydrate we can use for energy each hour (1). By manipulating our carbohydrate availability around sessions, we can maximise our training response. Training with high carbohydrate availability, improves performance, especially for the high intensity sessions where top end speed is required (1). By training with low glycogen stores, we force our body to adapt, to utilise fat as a fuel, making this pathway more efficient and improving aerobic performance. However, when we are running on an empty carbohydrate tank, the quality of our training is compromised. We train to get fitter, faster and more efficient. We spend hours and hours training, but if we haven’t got our nutrition sorted, it can be harder to reach our goals. Invest in some planning of your nutrition, periodised across your training week to get the most bang for your buck. Improved performance was observed after just 1 week of periodised nutrition in cyclists (3). As Accredited Sports Dietitians, periodisation is our forte! We can help you work out which method to utilise when across your training week as you can’t do them all at once. Nutrition periodisation is most effective when following a plan and choosing the most appropriate training sessions to pair it with based on your goals (2). Here is an example of the same recipe, but adjusted for carbohydrate content depending on the goals of that meal. Image 1 is our chicken burger patty with an Asian slaw and soy dressing. You’ll see that the protein portion of each meal remains the same. And the SIZE of the meal is also similar. Yet the carbohydrate content ranges from 20g up to 90g. This my friends, is an example of HOW you periodise your nutrition. You're welcome. 1. Jeukendrup, A, E. Periodized Nutrition for Athletes. Sports Med. 2017; 47 (Suppl 1): S51-63. 2. Marquet L, A et al. Enhanced Endurance Performance by Periodization of Carbohydrate Intake: “Sleep Low” Strategy. Medicine & Science in Sports & Exercise. 2016; Vol 48(4): 663-672. 3. Marquet 2 et al. Periodization of Carbohydrate Intake: Short-Term Effect on Performance. Nutrients. 2016; 8(12): 755. Feeling sad, moody or a bit low? We all do from time to time. Especially for us if we haven't done any exercise! Did you know your gut can have a role in your mental health? A number of studies have confirmed a close link between our gut bacteria and our brain; ever heard of the gut-brain axis? The gut microbiota (bacteria) greatly impacts our brain physiology, influencing behaviour and responses to stress. Research shows that a plant-rich diet high in probiotics and prebiotics helps to increase the richness and diversity of our gut microbiota and therefore aids in our stress responses and mental health. How can you eat for a happy life? Focus on a plant rich diet including a wide variety of fruit, vegetables and legumes. Aim to fill half of your plate with salad and veggies at lunch and dinner. Include wholegrains such as brown rice, quinoa, wholemeal pasta, couscous and grainy bread. Keep your plate portions of animal protein rich foods to 1/4, not 1/2. These include lean meats, eggs, poultry, fish and seafood. Most people overeat protein. Runners Gut. What is it? How can you prevent it? Are you the type of runner that knows exactly where every public toilet is along your route? Don’t worry - you're not alone! 30-50% of athletes regularly suffer from gastrointestinal (GI) problems while exercising (1). Far too common among endurance athletes, GI symptoms include nausea, cramps, bloating, wind, vomiting, diarrhoea and urgency. The frequency, intensity and severity of these symptoms seems to increase as the event distance increases. So why exactly does it happen? It’s multifaceted and highly individual but reasons include mechanical, physiological, and nutritional factors (2). We also know that the symptoms are exacerbated by dehydration and hot weather conditions. If you are female, younger and run at high intensity, you may be at higher risk of GI symptoms too (1) (damnit). Running causes an increase in intra-abdominal pressure which, when combined with our organs bouncing up and down can cause GI symptoms (2). When we exercise, blood flow is re-directed away from our gastrointestinal tract to the exercising muscles, heart, lungs, brain and skin. Blood flow to our intestines can be reduced by as much as 80% !! This obviously compromises gut function and can exacerbate symptoms. Hydration plays an important role. Dehydrated athletes have reported increased rates of nausea, abdominal cramps and delayed gastric emptying (food leaving your stomach) and associated nausea. Combine decreased blood flow to the gut with dehydration and it can cause increased permeability of the gut (2). In plain English – things are moving across the gut walls in a way they shouldn’t be, causing GI upset. From a nutritional point of view; fat, fibre, protein and high carbohydrate concentrations (osmolarity) can all be associated with increased risk of GI symptoms. Fat, fibre and protein all slow down digestion – not ideal when you’re running at pace. Large amounts of carbohydrate may not be fully absorbed, leaving residual carbohydrate in the stomach causing GI symptoms during exercise such as bloating, fullness, flatulence and nausea (2). The gut is extremely adaptable. Research (in humans) shows that you can train your gut in as little as ~30 days to increase absorption capacity (2). Train your gut, just as you would your muscles. Start small and slowly increase the quantities of food and/or fluids you consume while running over a few weeks/months to build your tolerance. Try different types of foods, liquids and gels in training to figure out what works best for you. The golden rule of sports nutrition – NEVER try anything new on race day. Keep in mind that GI symptoms are usually increased with distance, heat and humidity (3, 4), so you will likely need different strategies depending on the season and the distance you are running. We know our gut absorption rate of glucose alone maxes out at approx. 1g/min, or 60g/hour. For the longer endurance events >2hours (i.e. half and full marathons, 50km, 100km and ultra’s), higher carbohydrate intake is recommended, although it's important to find your individual ceiling. You can increase your carbohydrate absorption by utilising different carbohydrates e.g. fructose. This is because it’s absorbed across the gut wall via a different pathway to glucose and can occur simultaneously. Stick to smaller doses, then build you tolerance up over several weeks/months. In the day or two leading into hard training or competition when you bump up your carbohydrate intake, maintain your typical fibre intake to minimise the amount of undigested fibre left in your gastrointestinal tract. Choose white, more refined breads and cereals instead of wholemeal or wholegrain. Keep high fibre veggies and fruits to a minimum. Some lower fibre options include tomato, zucchini, olives, grapes and grapefruit at <1g fibre/serve. Note: This is not a long-term approach. It should only be followed for 1-2 days ahead of competition. Generally, you should be consuming a high fibre diet to regulate bowel movements and keep you regular. If you have a sensitive gut, avoid drinking coffee on an empty stomach or right before hard runs. I know, I know…coffee is the best elixir and has performance enhancing effects - but coffee is a strong gut irritant and could be exacerbating your problem. Save your brew for post-exercise. There are plenty of other ways to get caffeine in – don’t stress. 5. Start exercise hydrated and stay hydrated! During exercise you typically need to drink to replace sweat losses enough so you don’t put yourself into the red of dehydration where performance is affected. Do some sweat testing to figure out your sweat rate in different environmental conditions, then work to replace 50-80% of the losses depending on the conditions, duration and intensity. Again, something to practice. If your sweat rate is >3L/hour – you will struggle to drink and absorb this volume of fluid without some serious gut training! Another good tip is to have a good hit of water with your pre-exercise meal (300-450ml) as this will help prime the stomach to empty well and absorb any nutrition you’re using during exercise. Something to practice. Start with a smaller volume (100-200ml) then build up to 350-450ml 2 hours before exercise. An Accredited Sports Dietitian can help you with an individualised hydration plan for training and racing. Studies have shown increased gastric emptying of carbohydrate by increasing daily dietary carbohydrate (8). Interestingly, increased daily fat intake results in faster gastric emptying of fat, but not carbohydrate. How cool is that? So, if you generally have a high carbohydrate diet, this increases your ability to absorb carbohydrate across the intestinal wall which in turn, allows greater absorption and then oxidation of carbohydrate during exercise (6). This lowers the chance of GI distress. For those people that follow a low carbohydrate, high fat diet generally, your intestines respond by decreasing intestinal absorption of carbohydrate and increasing fat absorption. If you then try and ramp up your carbohydrate intake just before competition, chances are you won’t absorb this as well and will have a higher chance of running into GI issues on race day (pun intended). It is also unlikely you will be able to increase your carbohydrate intake beyond 60g/hr if this isn’t something you’ve practiced in training. Ideal scenario – periodise your intake across the week so you have some days of high carbohydrate availability and some days with low carbohydrate availability depending on your goals and events. Speak to an Accredited Sports Dietitian about the best strategy for you. Research shows that runners who applied a freely chosen nutritional strategy consumed less carbohydrates during the race and their finish time was longer (5). Want better results and easy to follow strategies that are tailored to your individual needs? Get professional advice. de Oliviera EP, Burini RC. Carbohydrate-Dependent, Exercise-Induced Gastrointestinal Distress. Nutrients. 2014; 6: p4191-4199. Pfeiffer B et al. Nutritional Intake and Gastrointestinal Problems during Competitive Endurance Events. Medicine & Science in Sports & Exercise. 2012; 44(2): p344-351. Sessions J et al. Carbohydrate gel ingestion during running in the heat on markers of gastrointestinal distress. European Journal of Sport Science. 2016; 16(8): p1064-1072. Hansen EA et al. Improved Marathon Performance by In-Race Nutritional Strategy Intervention. International Journal Sport Nutrition and Exercise Metabolism. 2014; 24: p645-655. Lambert GP, Lang J, Bull A, et al. Fluid tolerance while running: effect of repeated trials. International Journal of Sports Medicine. 2008; 29: p878–82. Cunningham KM, Horowitz M, Read NW. The effect of short-term dietary supplementation with glucose on gastric emptying in humans. British Journal of Nutrition. 1991; 65: (15–9). de Oliveira, E. P., Burini, R. C., Jeukendrup, A. 2014. Gastrointestinal complaints during exercise: prevalence, etiology, and nutritional recommendations. Sports Medicine 44 Suppl 1: S79-85. We have the absolute pleasure of running regularly with Pat right here in Brisbane. He makes running look just so easy! We could only dream of running even half as fast or as efficiently as this Swiss machine! Quite the competitor, Pat has a long list of achievements in the running world. Just quietly, he also won our Healthy Lifestyle Challenge in 2016 which he adds to his list of accolades. Sport of Choice: Running in any form from track to road and the occasional multisport event. I grew up in a small village in Switzerland and started with the local gymnastic club at age 5. My sister got me into running at age 12 but we played many other sports as well. It was not until age 17 I started to take athletics more seriously and qualifed for national teams regularly. I moved to Brisbane in 2007 and transitioned to road running with a focus on half and full marathons in 2011. When I'm fit, I like to push myself in some track intervals e.g. 10 x 1km reps or a Marathon specific long run of 30 to 38km at close to race pace. Improve on my marathon PB. Run some of the World Marathon Majors including Tokyo, New York, Chicago, Boston is on my bucket list too. I would also like to take my running group to some big overseas marathon events. I like and eat almost anything and strive for a balanced diet. Seafood dishes as well as some hearty Swiss potato/veggie/cheese dishes are my favourite. Favourite post-training meal or snack? After a big training session; a typical breakfast for me would be: 3 weet-bix, a cup of muesli, rice milk, yoghurt, chia seeds, lots of nuts and berries/ fruits, with cinnamon on top. Green juice or orange juice and large coffee. Nutrient timing as well as optimising my carbo-loading, race day nutrition and hydration plan. Calcium is one of the most important minerals in our body. In fact, without calcium we wouldn’t be able to stand or eat as 99% of our calcium is in our bones and teeth! A small amount of calcium is also dissolved in the blood and is essential for our heart, muscles, blood and nerves. In fact, every contraction of our muscles requires calcium. So how much calcium do we need and where do we find it? After higher calcium needs as a growing teenager, our requirements stabilise at 1000mg/day until they increase again as we get older. This is because calcium isn't absorbed as well in our later years. We achieve peak bone mass by our early 20's so it's important to lay down a good foundation in our teenage years to set you up with good bone density for life. In food terms, the best sources of calcium are dairy sources. Check the label on your milk product and ensure that for each 250ml serve, it contains at least 300mg of calcium. If you prefer milk alternatives, a lot of these are calcium fortified but always check the label for a product that is and ensure it provides at least 300mg calcium per 250ml. Did you know that low fat dairy products contain just as much, and often more calcium than regular fat products? Look for canned fish that contains bones as this is where the majority of the calcium is coming from. For the vegetarians and vegans, there are some good plant sources of calcium to be sure to include regularly. Firm tofu, tahini, dried figs, broccoli, canned soy beans, kale and almonds to name a few. Protein can help with calcium absorption, although too much can have the opposite effect. Vitamin D is also helpful, so get outside for 10-15 minutes each day to catch some rays. Unfortunately, caffeine and alcohol are not so good for our calcium stores. The same applies for diets high in oxalates which come from foods such as spinach, rhubarb and beans. These only reduce calcium absorption from the food they are present in. Phytic acid from seeds, nuts, grains and certain raw beans can reduce calcium absorption from foods when eaten in combination. Finally go easy on the salt, as calcium is eliminated from the body with it. Choose your canned fish in spring water rather than brine to maximise the calcium absorption from this source. Breakfast: 1 cup of milk with your porridge, cereal, toast or as a smoothie. Be sure to separate your tea or coffee from your meal so you're not blocking the calcium absorption. Dave aka Bangar can do it all. From indoor rowing to rugby, surf swimming, pool swimming and running, what can't you do well Dave? Just quietly he holds the title for the No. 1 ranked Indoor Rower for the half marathon IN THE WORLD! Dave's next focus is on smashing his Gold Coast 10km run time with the goal to go sub 39 minutes this weekend. Good luck Dave! Fresh fruit scone hot out of the oven from the Vietnamese bakery at Highgate Hill. What’s the number 1 thing you’ve learnt about sports nutrition for performance in your sport? This Summer Salads Recipe Book perfectly captures some of our favourite recipes. Healthy eating doesn't need to be hard or boring! Sign up to receive healthy recipes and expert nutrition advice delivered straight to your inbox.